Closed cell foam is available in several colors, and comes by the yard, in sheets, or custom cut to your dimensions. Closed cell foam does not absorb water. We have five grades of closed cell foam: Crosslinked Polyethylene, EVA grade, Volara, and FloTex. The fifth, Neoprene, is another type of closed cell foam. It's about the same firmness as EVA foam but much more pliable, durable, and heavy. Visit our neoprene page for more info. Contact our design consultant for your prototype manufacturing. We may be able to help answer your product questions or steer you in the right design direction. Important shipping note: 2", 3", and 4" sheets need to be cut to pieces no larger than four square feet (e.g., 24" × 24"), or shipping charges may be much higher than estimated in the shopping cart. If we must ship via truck, entering a commercial address for delivery will save money. This closed cell foam is very rigid; it has very little give to it. It has a density of 5.8 lb/ft3. It is used for packaging, knee pads, industrial applications, and more. Its heavy density makes it very resistant to compression. EVA foam is a very firm closed cell foam but with a softer, more rubbery feel than our polyethylene foam. When pressing your fingers into it, it squishes down some but comes right back into place. This type of foam is commonly used for decking on boats, surfboards, kneepads, padding in helmets, insulating hot tubs, shin guards, or exercise mats. EVA foam is inherently very UV resistant so it works well in outdoor applications. It weighs 2 lbs/ft3. This fantastic closed cell foam has a squish density and medium firm feel. It weighs 3.6 lbs/ft3. It is certified by ULC (Underwriters Laboratory Canada) for flotation and more. Its squishy texture is ideal for boat cushions, life preservers, yoga mats, exercise mats, camping pads, or whatever else you can think of. We seam up all thicknesses greater than half an inch (1.3 cm). This foam is not UV resistant. Flotex makes an excellent exercise yoga mat. 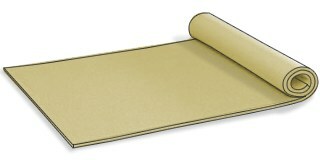 These lightweight mats are also perfect for camping pads. 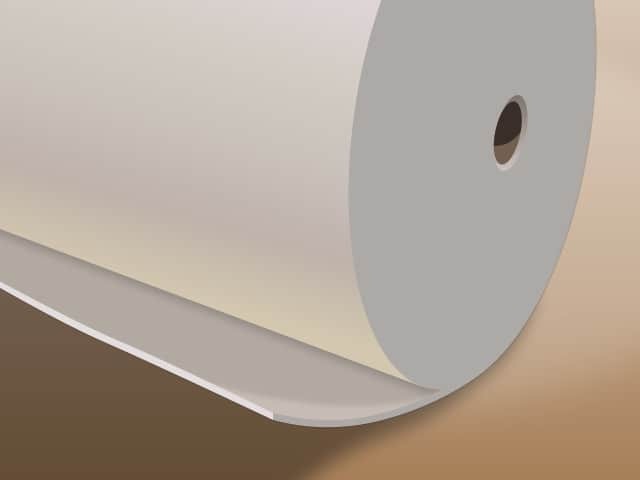 A small piece of one-inch thick Flotex (16" × 24"), big enough for your elbows, and a sheet of 6 mm neoprene make an awesome stretching surface. You can choose your own size by using the rectangle shape and entering the dimensions you want. Yardage is cut from a roll that is 60" (152 cm) wide. Volora is commonly used in the lining of bags, as a floating on the water insulation for odd size hot tubs, acoustic insulation, and more. Volara's squishy texture allows rolling for easy shipping. Volara comes in a white or a charcoal color. White is available in all sizes. Currently the Charcoal is available in 1/4-inch thickness, but it can be ordered in other thicknesses by special arrangement. 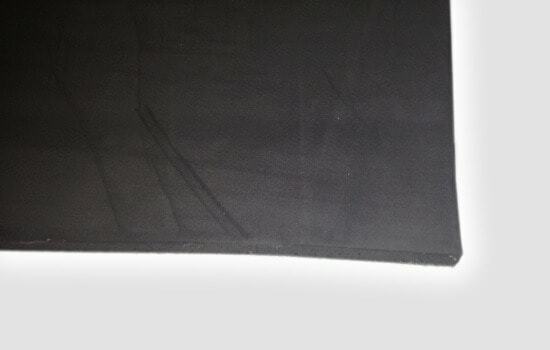 Both the white and charcoal come on a roll 60 inches (152 cm) wide and are sold by continuous whole yards (91 cm) only. This foam has a density of 2.0 lbs/ft3. This closed cell foam is firmer than Volara. 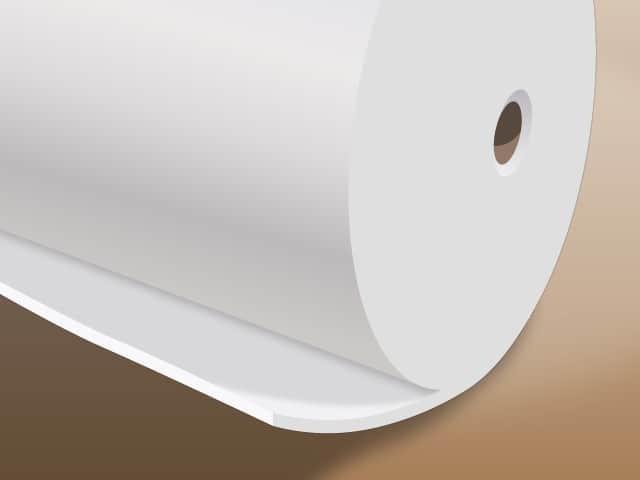 Whole yards (91 cm) ONLY are cut from the roll, which has a width of 60 inches (152 cm). Note that the 1/8-inch thickness is not stocked. This foam has a density of 2.0 lbs/ft3. Please click on the shape below that closest resembles what you would like to order. Next you will be asked to enter in the dimensions, and after that you will be given a price quote on a range of qualities. If you have a shape not shown here, please fax us a diagram for a quote. Due to the nature of this specialized foam, we cannot cut custom sizes in some dimensions. We won't charge your credit card until we make your order. We are unable to cut cylinders and wedges deeper than 4" (we could glue them up). All cuts are made on a bandsaw and are somewhat jagged. See our clearance section for discounted closed cell foam items that we have in stock. In particular, because these items are offered at greatly reduced prices, a 25% restocking fee will apply to any return of a clearance item. Full sheets in new condition may be returned less a 25% restocking fee. Custom cut pieces and cut yardage may not be returned. 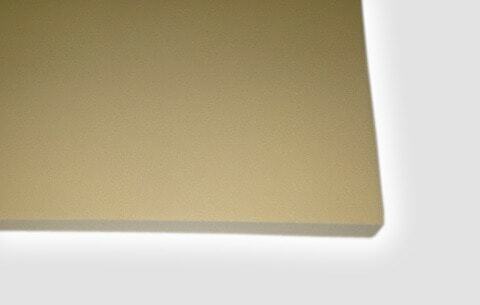 EVA foam is a type of polyethylene foam. The only polyethylene foam we guarantee to be ultra violet resistant is Eva foam. Only EVA foam will not crumble from sun exposure while some of our other polyethylene foams may. EVA foam is commonly used as a boat deck mat, pad on a surfboard, and in EVA foam packaging. EVA foam is lightweight polyethylene foam. 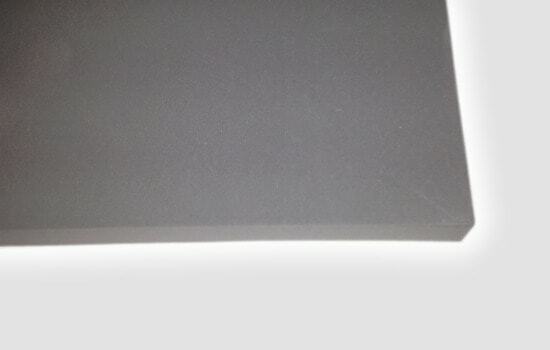 We sell EVA foam sheets and cut to size EVA foam. We cannot cut EVA foam into wedge or cylinder shapes because EVA foam is too stiff for our saws to cut. All custom cut EVA foam is accurate to 1/4". We can supply you with samples of EVA foam before you order. We have plans in the future to off EVA foam with a peel and stick backing and with a texture embossed on one side. Closed Cell Foam EVA - Hobbies & Crafting! Closed cell EVA foam is something I use frequently for making costumes and light weight flexible structural art. 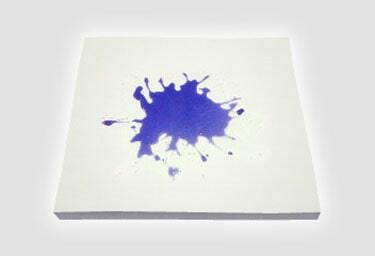 When utilized as art material it shapes well, bonds easily, and forms good structures. Pros: Durable, resists harsh winters and summer weather. Vital cosplay material. Cons: Over time it does get a little worn. We use the foam for our shoulder straps on our backpacks. Our order is always delivered in a very timely fashion. which is important to a small business.